Shakira is nominated for a total of six (!) Latin Grammy Awards for “El Dorado” and its associated singles. 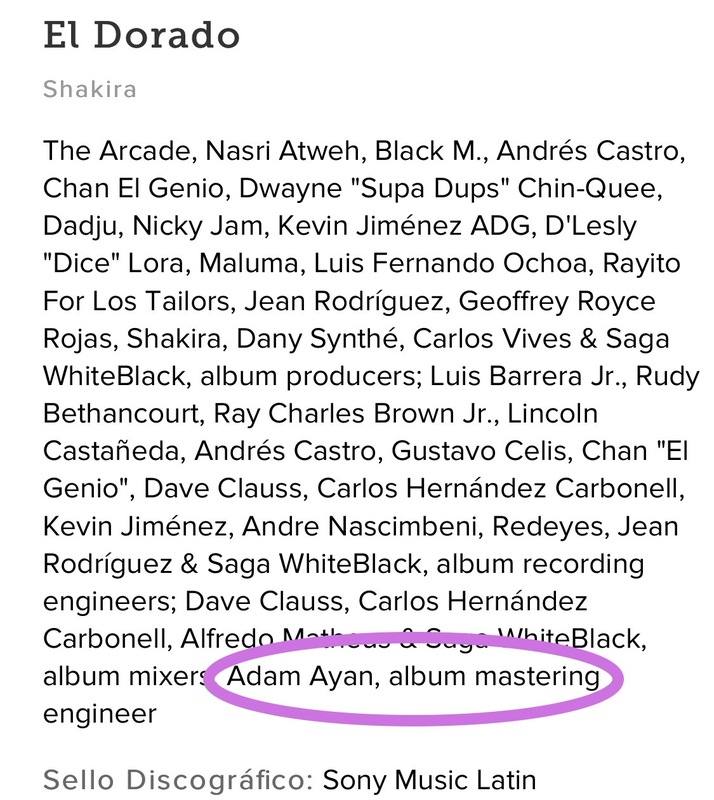 Adam Ayan had the pleasure of master them all!